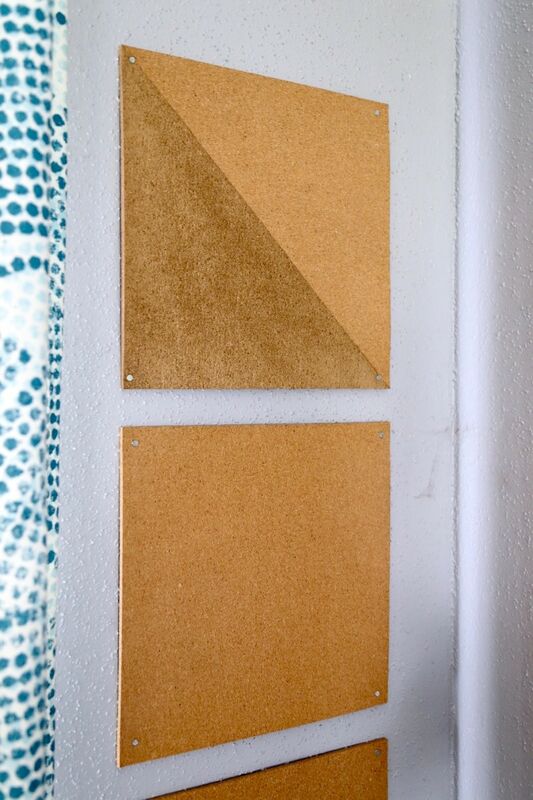 I’ve wanted to make a DIY cork board for my little office nook for a while now, and I finally got it done! 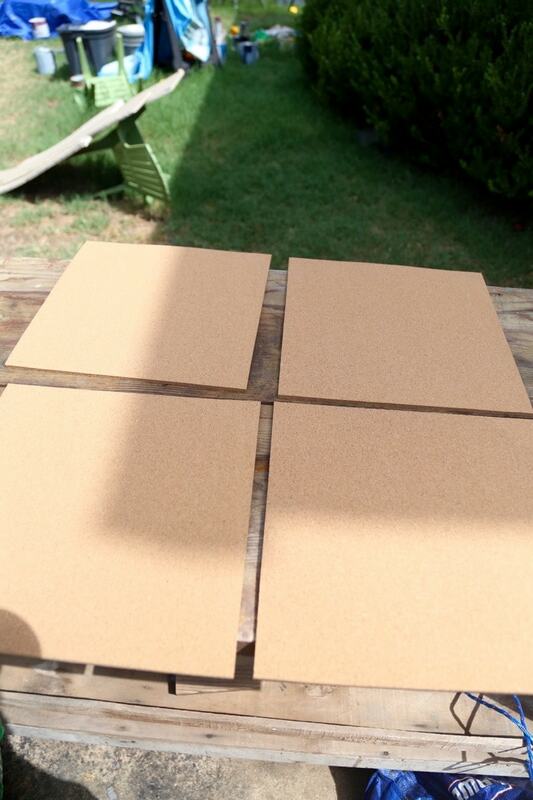 See how I took some plain cork pieces and turned them into an adorable (and super easy) DIY corkboard. 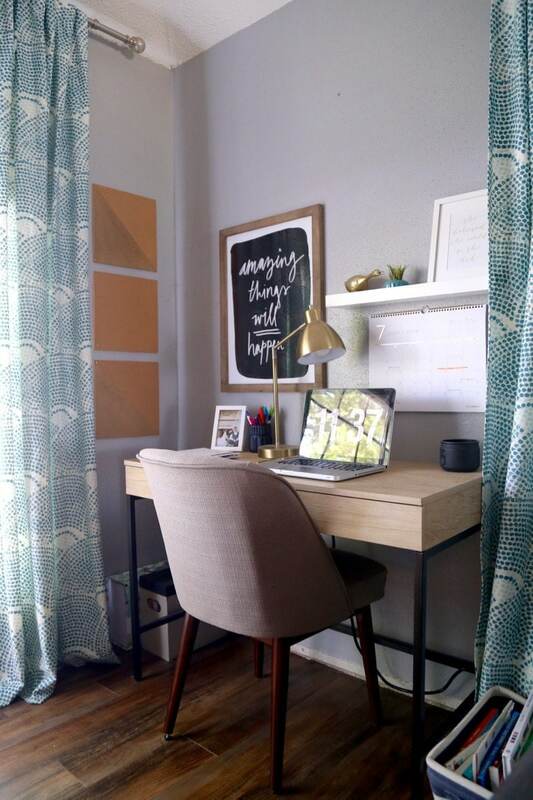 I have really loved having my little office nook set up in the living room. 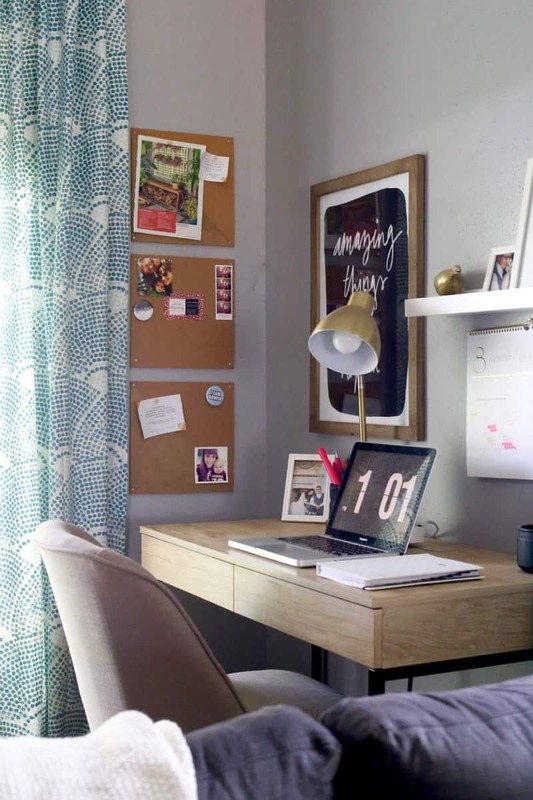 I am so much more inspired to work and focus when I’m sitting over there, it looks fantastic in the room, and it’s a great way for me to keep all of my blog paraphernalia nice and organized. One thing it has been sorely lacking, however, is a place to display some memories, triumphs, and inspiration. I’ve always been a big fan of having a bulletin board in my work space to keep me inspired and to post little reminders to myself, but I haven’t had anything like that in my office nook. Until now. This was probably the simplest project I’ve done in a very long time, but it has made a huge impact on this little corner of my living room! 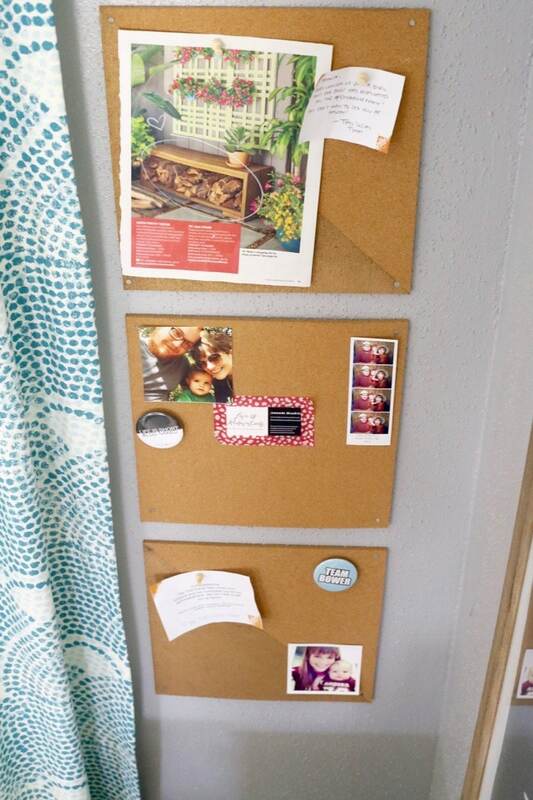 To get started, I picked up these cute little cork boards at Target with the intention of sprucing them up a little. I didn’t have a definite plan but I knew I wanted to keep it relatively simple because they’re in the middle of our living room and I didn’t want anything super busy. I took two of the boards and taped half of them off at a diagonal line. I didn’t do any measuring, I just made sure the edge of the tape touched each corner. Once it was all taped off, I grabbed some gold spray paint and went to town. I wasn’t sure how well the gold would show up since it’s almost the same color as the cork, but once I took the tape off I was pleasantly surprised! It has a nice, subtle contrast and it coordinates really well with everything over in my little office corner. To hang them, we just nailed in a small nail in each corner, using the level to make sure each board was nice and straight. We didn’t measure at all when we were hanging them, just went with what looked good. So far, I’ve been using these little boards to tack up inspiration for projects I want to try and tackle soon, a few family photos, and some special mementos (like the notes that came with the two “DIY Hall of Fame” banners we got from Home Depot for the upcoming Haven conference). Before I did this, I kept little sticky notes strewn all over my desk with reminders and notes to myself, but now if I have something I need to remember I just stick it up on the board. It’s much more functional, and it looks way better! Another favorite thing about this corner is that it’s not actually visible from all angles. Thanks to our curtains, you can’t see it at all when you first walk in the room. It’s a little touch, but it means that people aren’t greeted by my random notes and inspiration the second they walk into our home and it keeps the living room from looking too cluttered. My office nook officially feels much more complete now. It’s my favorite spot in the house when I need a bit of peace and quiet, and there’s nothing I love more than to cozy up in my chair with my headphones on and my candle lit and get some work done. 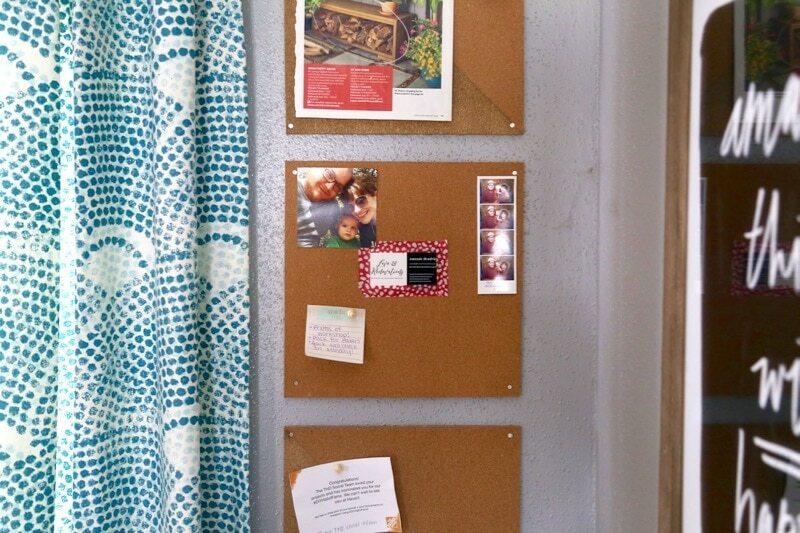 Do you have a bulletin board in your home? Am I the only one who has had one in almost every home and in every work space (including my classroom!) for as long as I can remember? I think I’m addicted. Super cute and super easy! Love that. How beautifully simple and perfect! 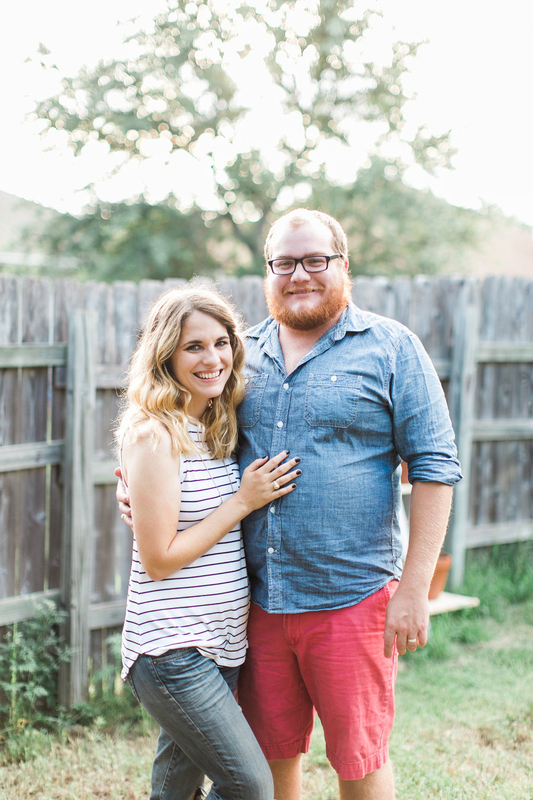 Love it, pinning! Cute cute memo boards! I love the way they look in your office corner and bet they are sooo helpful! This is so cute and such a simple way to display items or notes. I love the subtle addition of the gold! This is such a great addition to your space!! Those crock boards are great fun, and super friendly for awkward spaces because you’re not trying to hang a huge board! 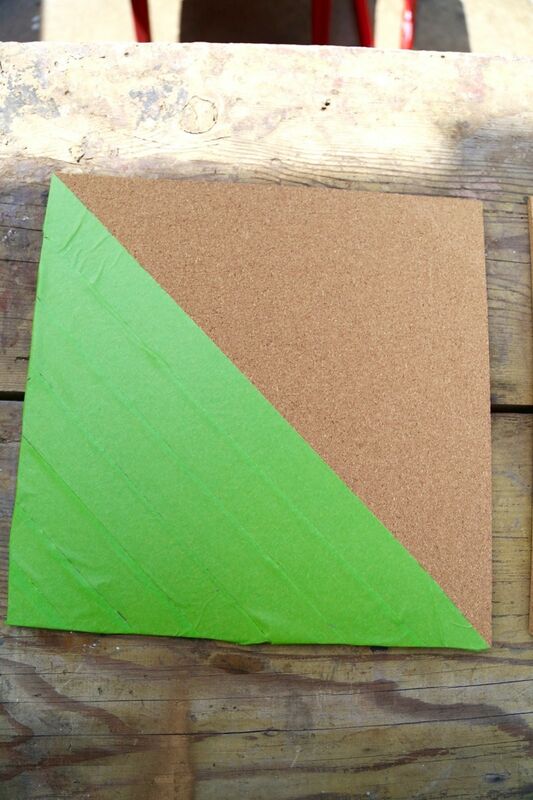 You got me thinking of bulletin boards now, great post! thinking of adding one on my laundry room. Cute! 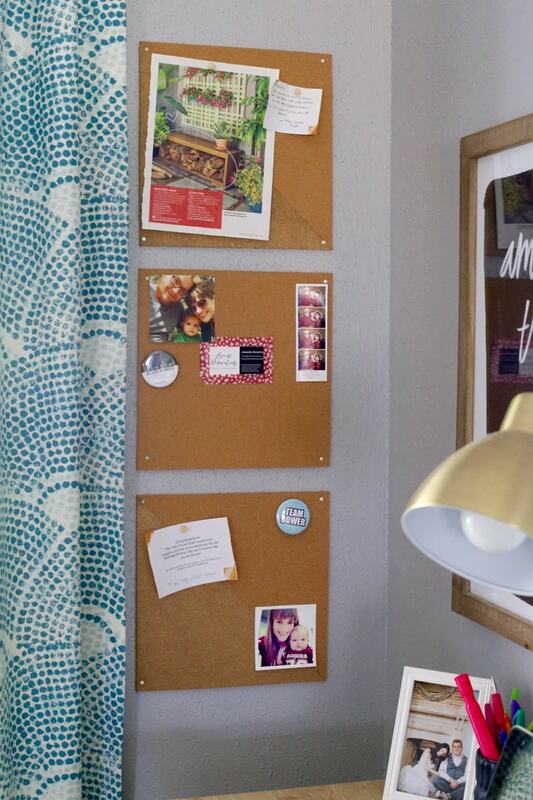 I’m thinking of putting up a cork board near my sewing area to gather inspiration. Thanks for the idea! Thank you! It’s so nice to have an area to keep everything displayed and in one place! 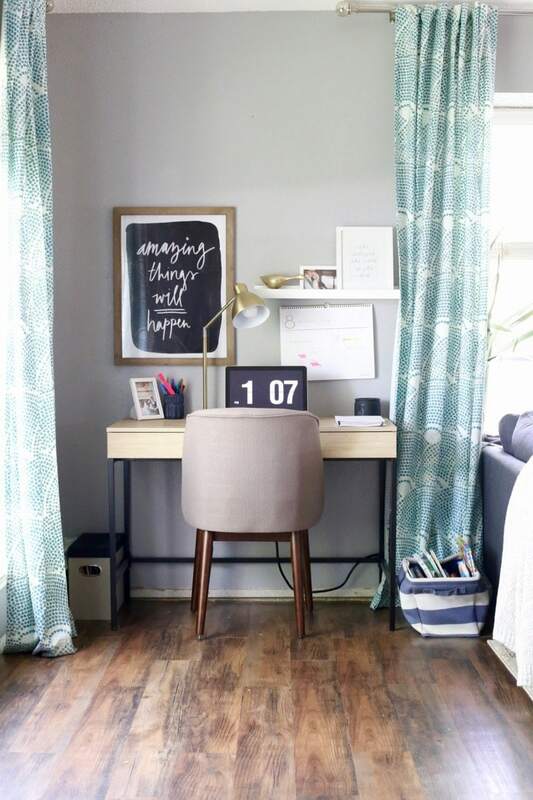 Super cute and perfect for your office space!